6) Eat at your favorite Disney World restaurant. Do you have a favorite place to eat inside the parks? If so, see if you can score a last-minute dining reservation. If not, you might even try going to the host stand at that restaurant and explaining that it’s your last day in the parks and that you’d love to eat there. It’s not a guarantee, but the magic shows up in the strangest places. If there’s an eatery you haven’t tried yet, go for it! 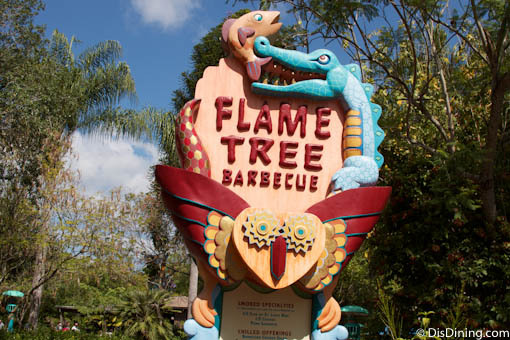 A couple of good ones to try for the first time are Flame Tree Barbeque at Animal Kingdom and Pecos Bill’s Tall Tale Café at Magic Kingdom. They are both counter-service restaurants, so no reservations are needed!